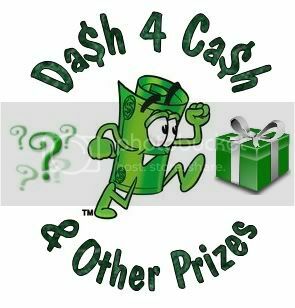 Dash4Cash : Enter TONIGHT to Win Tons of Cash and other Prizes! Mommy of Two Little Monkeys is back with another round of Dash4Cash! On September 7th (tonight) you will have one hour to “Follow” as many Twitter pages as possible, each blog has sponsored a prize and there are hundreds of dollars in prizes to win!! from 6-7pm EST for the Rafflecopter form. Check out on Mommy Of Two Little Monkeys on Facebook or here on my blog to enter! ← First Year Pictures : Andrea is ONE! Winner Announcement | Little Tikes, Spring Fever, Gund & More!